This is one of the cold pressed juice brand that became my favorite. With attractive product variants, quality ingredients and practical packaging. 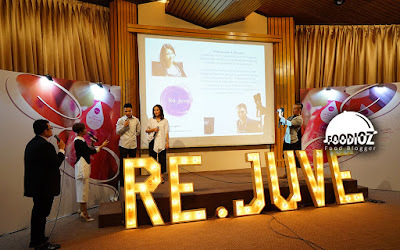 Re.Juve Indonesia, this time held the event in the framework of the 3rd anniversary. 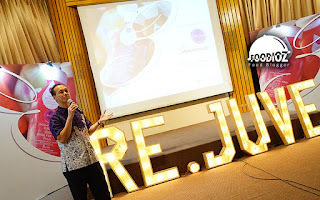 It is not felt at this time, Re.Juve branch is already many in Jakarta and easy to be found in the shopping center, office and sport gym. This event took place at the Sequis Center's auditorium on the 11th floor. Attended by so many invited guests e.g. media, bloggers and influencers. One of the thing that caught my attention was the Re.Juve nameplate with the writing form and the ornate lighting that was so eye catching. 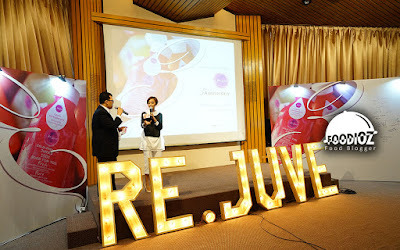 Then, there was a big white board with Re.Juve 3rd anniversary written as a medium where we could write congratulation greeting to Re.Juve. Here, we may see the ingredients used in products such as fruits, vegetables, coffee beans, almonds and also there were other products such as chia seeds and cookies. The event started with a welcome speech from Mr. Richard Anthony as Managing Director and he explained what the benefits of Re.Juve as well as some information about the nutrients needed by our body. 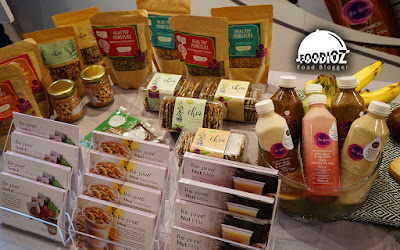 This time the event was quite interesting where I got some knowledge that is quite beneficial for the health and consumption of our bodies. During the event interspersed with several quizzes with prizes of vouchers, everyone seemed enthusiastic to answer the questions. Then, enlivened by the presence of two athletes namely Hilda Novianti & Tirta Jaya active in triathlon and they are a sport enthusiast. 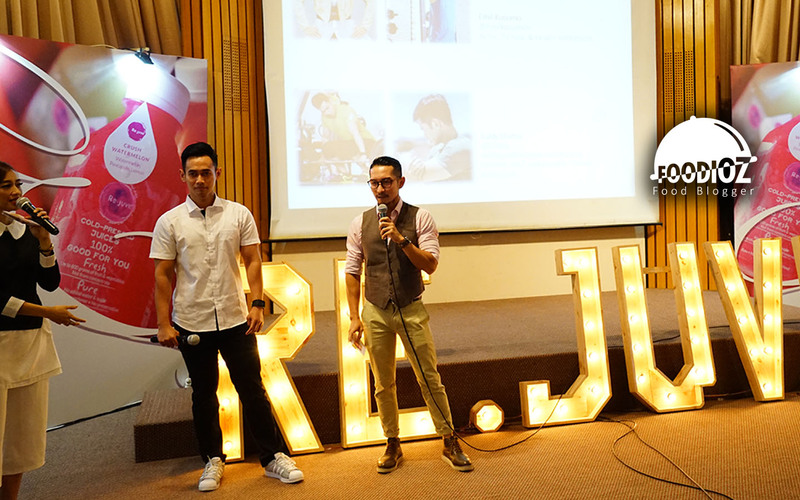 They told a little story how to live life as an athlete and also work in routine day. The story is quite inspiring. 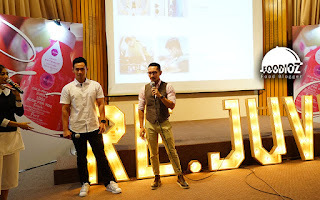 Then, the event was also attended by Emil Kusumo who is a health influencer, host and tv actor along with Efaldy as a fitness enthusiast and health life influencer. 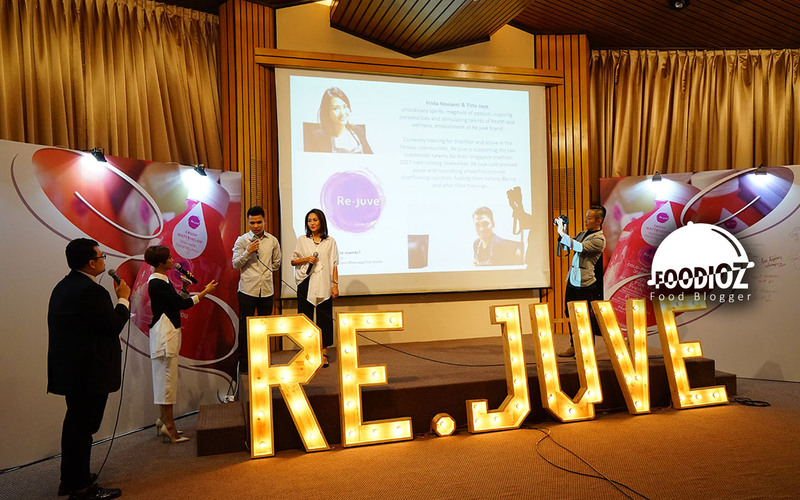 They also explain how the benefits of Re.Juve so useful to support their daily activities. 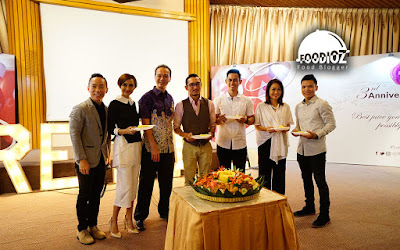 The event was quite festive, certainly guided by a beautiful and active host on television that is Deasy Noviyanti and accompanied by Andri Hamara who is a team from Re.Juve. 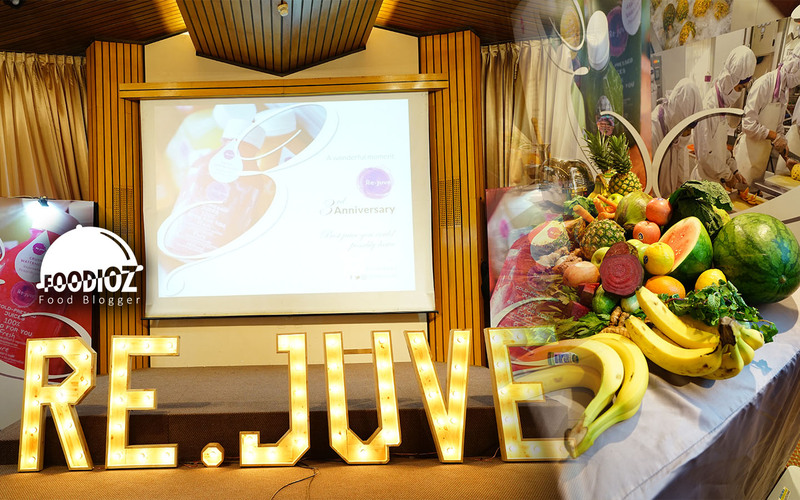 The event continued with the tumpeng cutting by all team Re.Juve then break the fast together. Before that, we did hand tossed with juice and all seemed very excited. 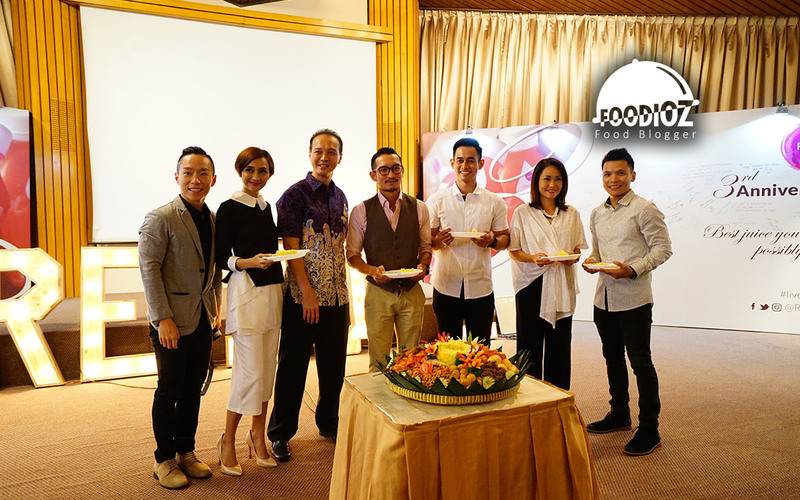 In addition to fresh juice, this time the dinner was served with yellow rice and typical Indonesian side dishes are delicious. I was quite impressed by the taste of this dinner. 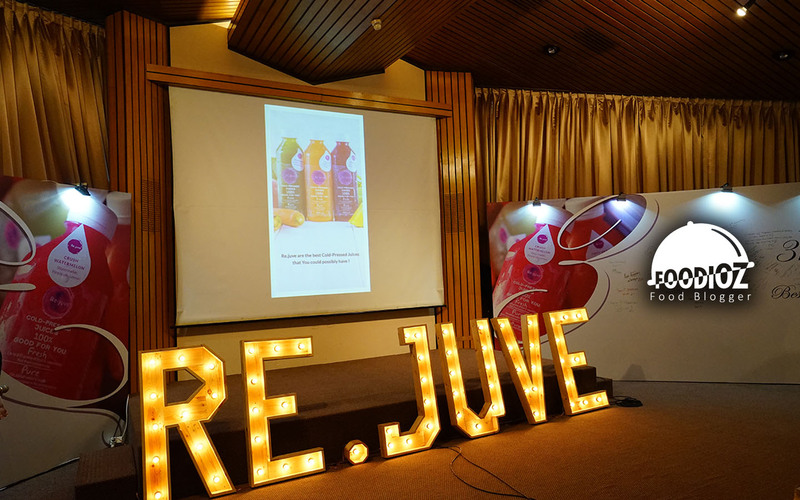 After the event is over, every guest were given goodie bag souvenir with fruits and Re.Juve products. Once again congratulations to Re.Juve may remain successful in the future as well as maintain good product quality and innovate modern and exciting for the next. Thanks Re.Juve.